Upstart social network Gab has occasionally been dubbed the “alt-right Twitter.” A haven for mainstream social media castaways like Milo Yiannopoulos and even Alex Jones, the years-long spike in extremist right-wing terrorism has led to a backlash within the banking community toward sites which are seen to foster the ideology behind some acts of violence. For Gab’s part, they state that they do not openly encourage or discourage hate speech. They aim to be a neutral platform which allows the users to determine the type of content that should be on the platform so long as it follows a very narrow set of rules. They haven’t found themselves in a favorable media spotlight in some time. Their last introduction to the reading public was as the favored platform of the Pittsburgh extremist right wing terrorist who killed 11 people in a Synagogue, Robert Bowers. 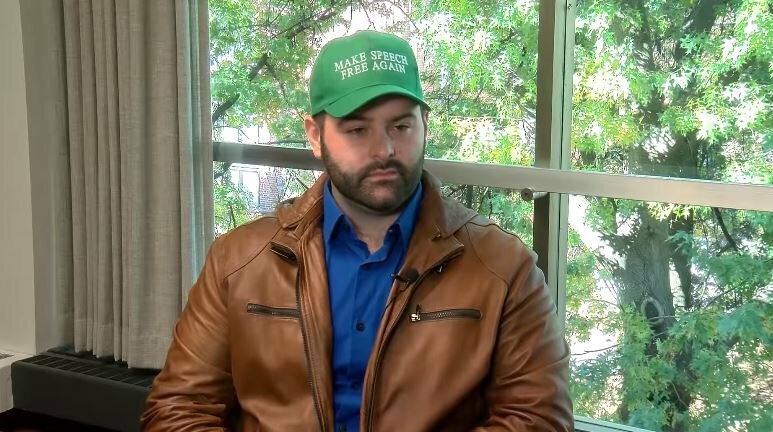 According to Gab founder Andrew Torba, Gab is now having payment processing issues. 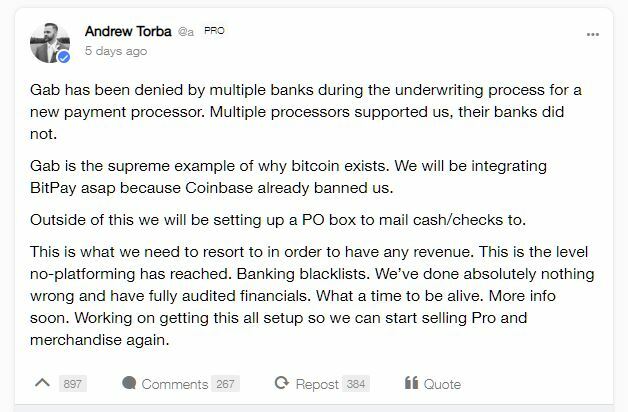 They’ve had acceptance from several processors, but the banks that have a lot of sway with these processors have allegedly refused to allow business from Gab. This is similar to the way the Daily Stormer was banned from PayPal, as CCN earlier reported, and resorted to Bitcoin and Monero a couple years ago, with surprising results.